New Delhi: The Union Power Ministry on Friday expanded its ambitious Standards & Labelling (Star Rating) program for energy efficient for appliances to cover the microwave ovens and washing machines with revised parameters in the country. The Star Labelling Programs has been formulated by Bureau of Energy Efficiency and will now include these two appliances for grant of Star Rating in terms of their energy performance. Initially, the program for above two appliances will be implemented on a voluntary basis and will be valid up to December 31, 2020. Launching this key initiative, Secretary A K Bhalla emphasised the need to improve energy efficiency in household appliances to reduce energy bills of common consumers. Speaking on the occasion, he said, ?This initiative will promote advancement of technology and energy efficiency in Microwaves Ovens which is becoming a popular household gadget.? As regard to the launch of revised program for washing machines, he commended BEEs efforts to revise the criteria for inclusion of water efficiency in addition to energy performance for grant of star rating. ?We have estimated savings of over 3.0 Billion Units of electricity at consume-end through adoption of Star Rated Microwave Ovens and Washing Machines by 2030. This would be equivalent to Green House Gases (GHG) reduction of 2.4 Million-ton of CO2 by the year 2030 through these initiatives.? The size of Indian Microwave Oven market stood at 1.21 million units in year FY 2017-18 and is projected to grow at a Compound Annual Growth Rate (CAGR) of around 2 per cent. The size of Indian Washing Machine market stood at 6.1 million units in year FY 2017-18 and is projected to grow at a CAGR of around 8 per cent fuelled by a growth in urbanization. 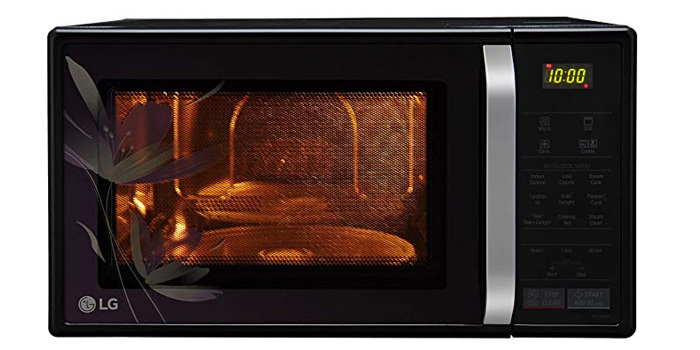 Therefore, it is important to optimize energy performance of Microwave Ovens and Washing Machines. This will create awareness amongst the domestic consumers to encourage transition towards energy efficient microwave ovens and Washing machines. As a major step towards faster adoption of Standards & Labelling program and with the objective of ?Ease of implementation?, the BEE has developed an online registration platform for expeditious registration & approval under this initiative. The manufacturers will be able to register products online for availing appropriate star rating for respective Models / products. Any model / brand of Washing Machine or a Microwave Oven can avail Star Rating on a scale of 1 to 5 based on test report from NABL or equivalent labs subsequent to scrutiny by BEE. The representative from the manufacturers / testing labs of Microwave Oven and Washing Machine were present during the launch and appreciated this flagship program. The event was also attended by senior officials from CEA, BIS, MoP, technical partners and other key stakeholders.